The initial visit is called the CONSULT. This visit takes about one hour and will be billed to your insurance company. During this appointment, a medical history and physical exam will be taken. The primary task to be completed during this visit is a lower extremity venous ultrasound. This test forms the “roadmap” for all subsequent vein treatments. During the visit, ultrasound gel is placed on the legs. No needles are used, and the ultrasound is simply sound waves that are bounced off the veins to form an image on the ultrasound machine. At the end of the visit, the ultrasound results will be discussed with you by Dr. Dando. You will not have to wait for any test results. Most patients will require treatment with endovenous laser ablation (EVLA) and sclerotherapy. In addition, phlebectomy is often used to remove large surface veins. A smaller percentage of patients will only need sclerotherapy or conservative therapy. Once the consultation is performed and we determine that you are a candidate for vein treatment, we will submit all the required information to your insurance company. Vein care services are generally covered by most insurance plans in symptomatic patients who have fulfilled conservative therapy requirements. We will discuss your specific insurance coverage with you before performing any procedures. 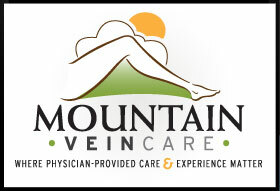 Mountain Vein Care participates in most insurance plans. We require 24 hour notice of cancellations. You may leave a message with our answering service if you are contacting us after hours. We may assess a $50.00 cancellation fee if notification is not given within this time period.